First of all, before I announce the two winners of the Twilight giveaway, (not to be confused with the Twilight contest, whose winners will be announced later this week) I want to thank everyone who participated. Kristi and I had so much fun (way too much fun!) putting together this contest! And I have to say that when I saw you guys were just as excited as we were, well, it made SMILE--really, really BIG! I don't know what it is about Twilight, but I love it. It makes me feel all warm and fuzzy inside--kind of like a love sick tween. And I love that feeling! YAY Twilight!! 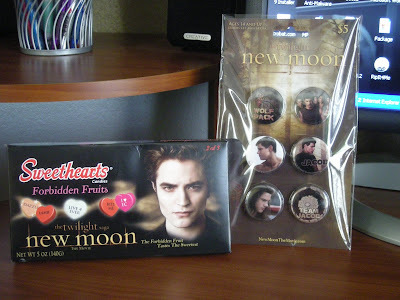 Okay, moving on (because I'm sure you don't want to listen to me ramble on about Twilight any longer. Wait, you do? Great! We could be here all day! Hehe...). What no movie would be complete without.... CANDY!!! Congrats, Denise! Please email me at Kimlfranklin@gmail.com with your address so I can mail out your prizes!!!! 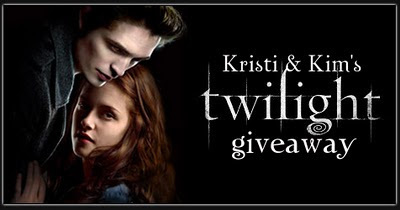 And, be sure to check back on Friday for the two winners of the Twilight Contest! Thanks again, to everyone who participated! You guys ROCK!!! PS - I found this video on Mia's blog yesterday, and I just had to post it. LOL! So funny!!! Woo-hoo to the winners!!! Super jealous over here... but I will survive, I think!!! Congrats to everyone! And I love the video. "Shhhhhh. You're injured." LOL. Mia - I love that video!!! Lol.... I'm still laughing just thinking about it. Lol! Amy - LOL! That was one of my fav parts. Lol!!!!! Christine - Yes, go get it now!!!! Have a great day! Woo hoo! My sis won! Congrats to Denise and Nicole! WOW! I've never won a give-away before :P I'm super excited -- thanks so much to both you and Kristi for running a fab contest and give-away!! You girls rock! Haha...Eva showed me that video the other day. It was great. XD I love it when people make stuff like that. I just love that video especially the parts where Bella's dentures fly off and when she shouts-'Lets go eat the people'!! Awesome! Yay to the winners! What a great contest! 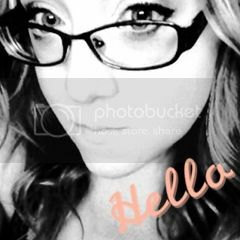 Joanne - Thanks! Happy Monday!! so jealous of the winners! Congrats to the winners. I left you an award on my blog! Thanks guys! Your are the best bloggy friends EVER!!! Lol GREEEAT video! And congrats to the winners! 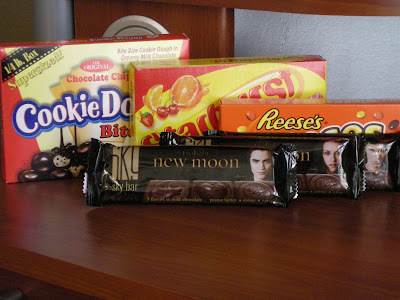 Thanks for taking part in our crazy Twilight giveaway! You guys are the best!!! Happy Monday (thank goodness it's over!)!! Congrats to the winners! And what a fun contest, Kimberly! Ha! Great video. Let's go eat some people! Congrats to Nicole and Denise!! And OMG, such a funny parody. Love this ending!! Let's go eat ome people!!!! Hahahahaha!!!! Too funny. Yay!! Thank you so much. I'm SO excited to win the contest. And the video is HILARIOUS.